The Jesse L. Carr Regatta is conducted in conjunction with a carefully chosen sailing regatta and intended to recognize the achievement of a sailing crew participating in a one-design portion of a larger regatta. The event will be held at Silver Gate Yacht Club located on Shelter Island. The event is scheduled to take place from 27-30 September. The actual regatta will take place on San Diego Bay and on the near shore waters off the coast of Point Loma on September 30th. The trophy for the winning contestant is the Harry Barusch Perpetual Trophy (left). The trophy for the winning team of two or three association contestants is the Joseph Castagna Perpetual Trophy (Right). “Keeper” trophies will be awarded. 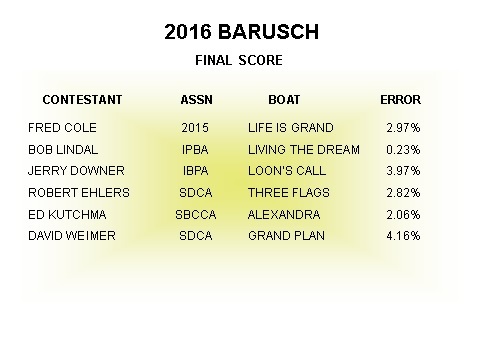 This annual predicted log contest pits two contestants from each active Pacific Coast Cruiser Navigation association plus the winner of the 2016 Barusch Castagna Cruiser Navigation Contest against each other. The Carr Regatta was held this year in conjunction with the J/70 World that were held at the St Francis Yacht Club on the San Francisco Bay on September 24th thru October 1st. Neatly 70 boats assembled on the Berkeley Circle for the competition. 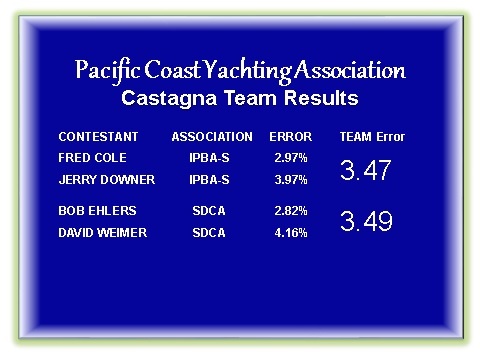 The PCYA was very pleased to be a part of this world class regatta. 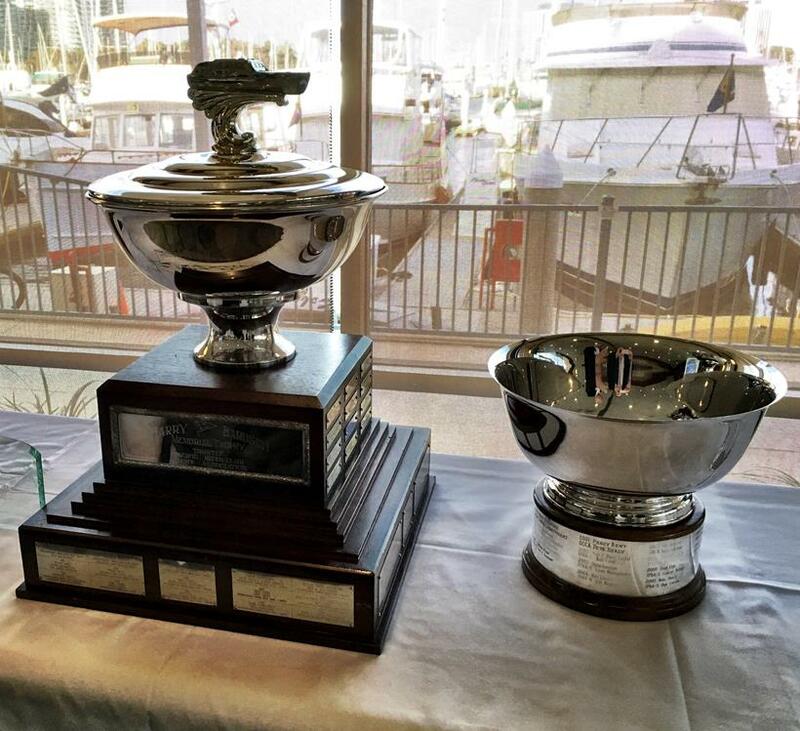 The purpose of this Jesse L. Carr Trophy is to award the crew as well as the captain for their performance. The Carr Cup & J/70 Worlds will be held September 24 through October 1 at St. Francis YC in San Francisco, California. The purpose of this Trophy is to recognize the crew as well as the captain, not only by virtue of their performance, but to include their names and specific identities in the annual bequest of the Trophy. The Notice of Race has been posted. Use this link to view the PDF.